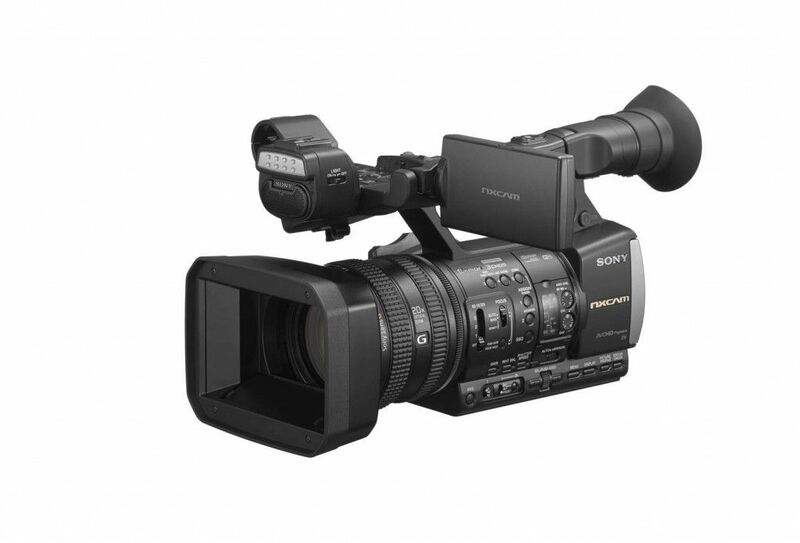 This morning Sony announced the HXR-NX3 handheld HD camcorder, the latest addition to the NXCAM line-up. 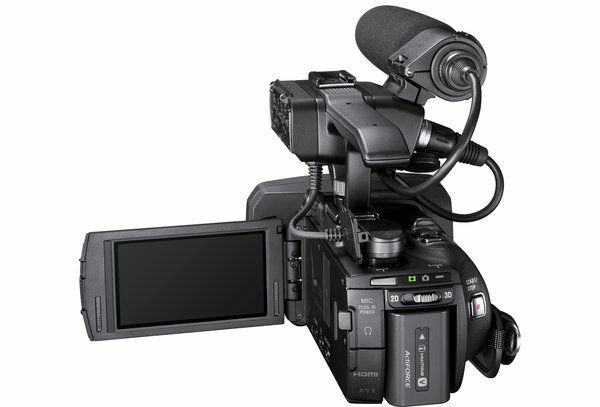 The HXR-NX3 combines Sony’s imaging technology with the ability to connect with other devices such as smartphones or tablet computers with built-in WiFi technology allowing the camcorder to be controlled remotely. Wi-Fi capability allows you to connect with a variety of Android and iOS devices. The HXR-NX3 combines leading lens, sensor and LSI technology to achieve impressive image quality. Sony’s Exmor™ 3CMOS Sensor system with three 1/2.8” sensors provides 1920×1080 Full HD effective pixel count. As a result red, blue and green light are independently and accurately captured by separate image sensors, contributing to high resolution, high sensitivity and wide dynamic range that creates extraordinary natural colour reproduction. A newly developed LSI that includes advanced noise reduction and several distortion correction technologies handles image processing, allowing clear, low-noise recordings to be captured even in low light. Sony’s G Lens delivers stunning image quality as well as a wide zoom range that offers a 28.8mm angle of view at the wide end, with a 20x optical zoom range that will easily cover most shooting situations. In addition, the newly developed LSI contains cutting edge 40x “Clear Image Zoom” technology which offers 1152mm(*1) focal length with virtually the same quality as optical zoom. The LSI also includes advanced noise reduction and several distortion correction technologies to handle image processing and deliver notable improvements in image quality. The recorded images are remarkably lifelike in both texture and detail, as a result. The HXR-NX3 records video in AVCHD 2.0 format, which includes 1080/60P, for smooth, natural subject motion. 60i and 30p modes provide playback compatibility with Blu-ray players. The HDMI connector provides uncompressed 8bit 4:2:2 while shooting and allows users to record stunning images on a generic external video recorder. The ability to record in DV format is also provided for users who prefer a DV workflow and who need to work in a DV compatible non-linear editing environment. The HXR-NX3 is a fantastic addition to the Sony NXCAM line-up especially for filmmakers working for corporate, event, wedding and education videos. 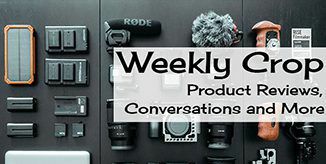 We also expect the MP4 function to make it a hit with web journalists who need to share images with colleagues as quickly as possible, while the WiFi remote and built-in LED video light can make filming interviews easier. The HXR-NX3 is destined to become the ‘go to’ camcorder in the handheld field. 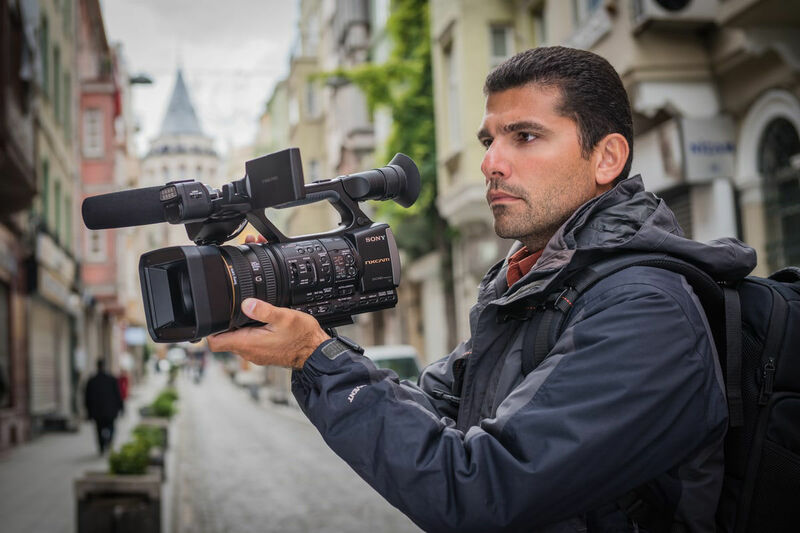 As you would expect, it includes outstanding imaging capabilities that allow videographers to capture rich, detailed footage in a range of environments. A wide range of additional features make the HXR-NX3 the perfect camera for the videographers looking for high quality performance, adaptability and ease of use. 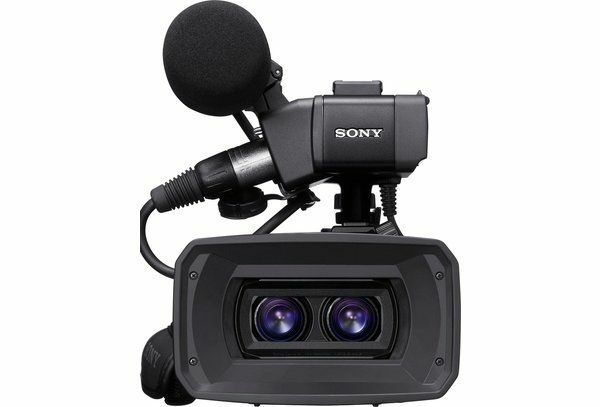 Sony of Canada, Professional Solutions Group Canada will deliver the HXR-NX3/VG1 which comes with Sony’s high quality ECM-VG1 shot-gun monaural microphone in late January 2014. Want to see the Sony HXR-NX3 in action? Sony will be at our Lights. Camera. Action. event on December 12th and 13th. Next Article The Lights. Camera. Action. Event is HERE. Tornado Hunters set to take the ProFusion main stage by storm.